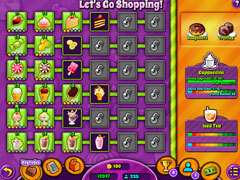 Make delicious, tempting desserts, please your customers and build the best sweet shop in town! 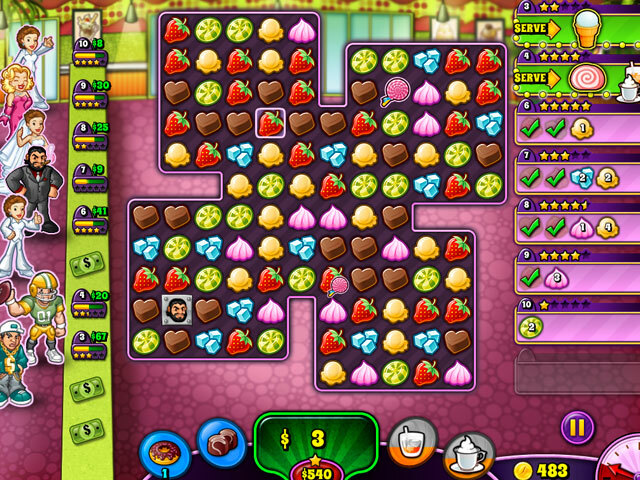 Build the ultimate sweet shop! 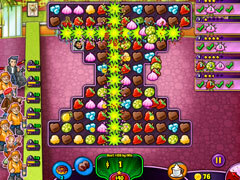 Make mouth watering sweets and desserts, serve your customers and build the most popular store in town. Start with a humble shop and a few simple sweets, then work your way up to the greatest sweet shop the town has ever seen. With tons of levels and upgrades, varied gameplay styles, and plenty of replay value, this match-3 / time management mash-up will keep you coming back for more. 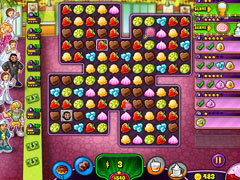 Satisfy your sweet tooth with Sweet Shop Rush today!